When it comes to your baby registry, it can be overwhelming to think of all the odds and ends you may need. 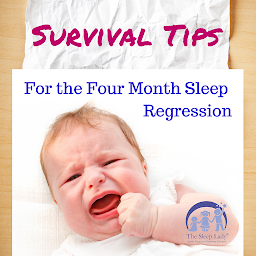 However, the most important items for your registry are any products that will help you establish healthy, safe, and supportive sleep routines for baby. We’ve rounded up some of our favorite registry items to help baby sleep safely and soundly. Gugu Guru helps parents figure out what they need with our registry quiz. If you need more help, remember to check out their concierge services, with many helpful packages to choose from. Babies love white noise! It reminds them of being in utero, and soothes them when they’re fussy or tired. Since you can’t “shhh shhh” them all night long, a white noise machine is a must have for your nursery. These sleeping devices for babies feature soothing sounds to help interrupt your baby’s crying session and engages their relaxation and calming reflex. Just make sure it’s placed outside the crib, where it can’t fall in or on the baby and let it work its magic. Babies are very sensitive to light and heat, so you’ll want to make sure to add blackout curtains to your registry. Make sure that they are placed nowhere near the crib, or anywhere baby can grab at them. The curtains will help baby establish day versus night, which will help instill healthy sleep patterns over time. One of the more overlooked categories for safe sleep is the air that baby will breathe. Humidifiers are especially important for newborns because they are obligate nasal breathers, breathing only through their tiny noses for their first 4 – 6 months. Any congestion can make breathing, feeding, and sleeping incredibly difficult for your little one. Remember to keep all cords and machines away from the crib, always use a cool mist humidifier for baby, and keep the water refreshed daily. Since blankets are not safe for baby in the crib, when the weather gets cooler, it’s imperative to have sleep sacks on hand for baby. Sleep sacks not only keep baby warm, but help them transition from swaddle to having a little more freedom. Since baby is wearing the sack (at an appropriate size), it is safe for baby to sleep warmly and comfortably. It’s important to remember that babies sleep best between 65 and 72 degrees, so a sleep sack won’t overheat baby, but will keep them warm in moderation. Visit Gugu Guru to see their services, and simplify your baby registry!